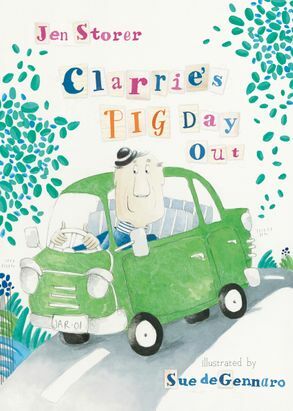 A very funny picture book about farmer Clarrie who gets his worms, no! his words, mixed up. Clarrie is a farmer who loves his chickens and his dog, Bert. Clarrie also gets his worms, no! he means his words, mixed up. So when Clarrie and Bert head out in his jar, whoops, he means car, it turns out to be a day filled with fun and surprises. Young children will love seeing how Clarrie mixes up his words - and will enjoy correcting them, as well!